Let the new (2018-19) season begin !!!!! 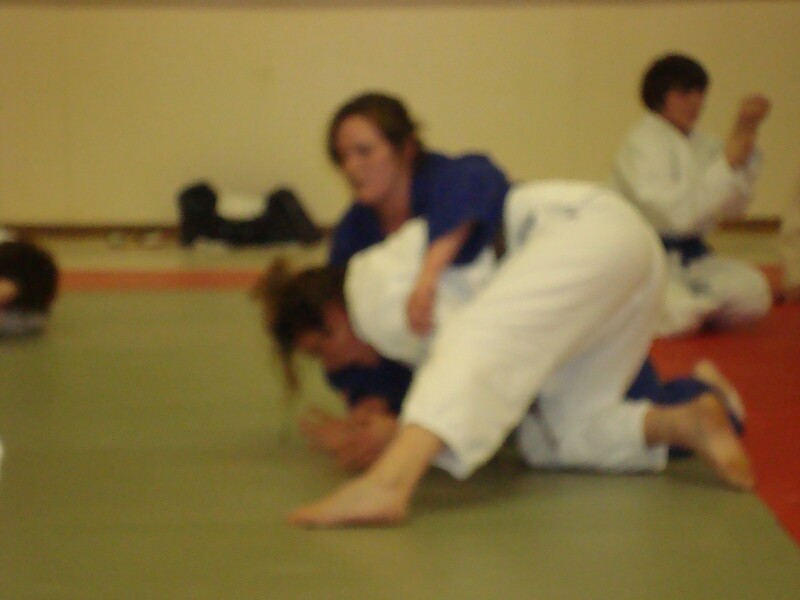 We won’t rush the summer away, but we are less than 6 weeks from the start of the new judo season!!! This will be our 51st continuous year of operation in the town of Almonte, and if you missed our 50th year, not to worry – our 51st will be as exciting. Everything gets started Wed Sept 5 in the Upper Hall of the Almonte Arena. Existing members – just show up !! 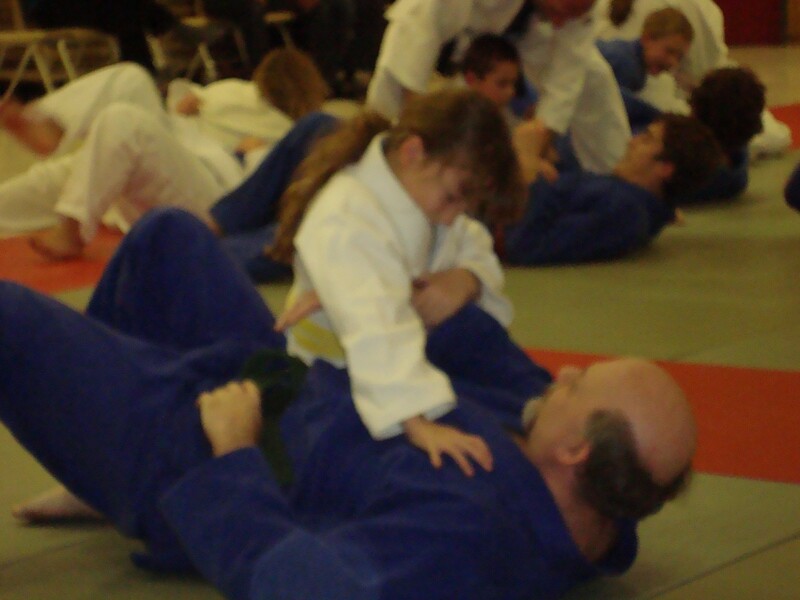 New members, show up a little early, sign a form, and jump on the mats!! We will need to carefully monitor our numbers (class size), so if you are truly interested please let me know ASAP and I will add your name to our ‘priority list’. If you are a teen or adult, we have room for you in our ‘Senior class’. 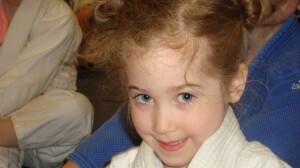 If you are between the ages of 5-12, you will become a member of our Junior class. So …. Junior class runs from 6:45PM to 8:00PM each Wednesday evening, starting on Sept 5 (Class #1), and running until December 12. Classes will not be held the night of Hallowe’en so everyone can enjoy the fun. 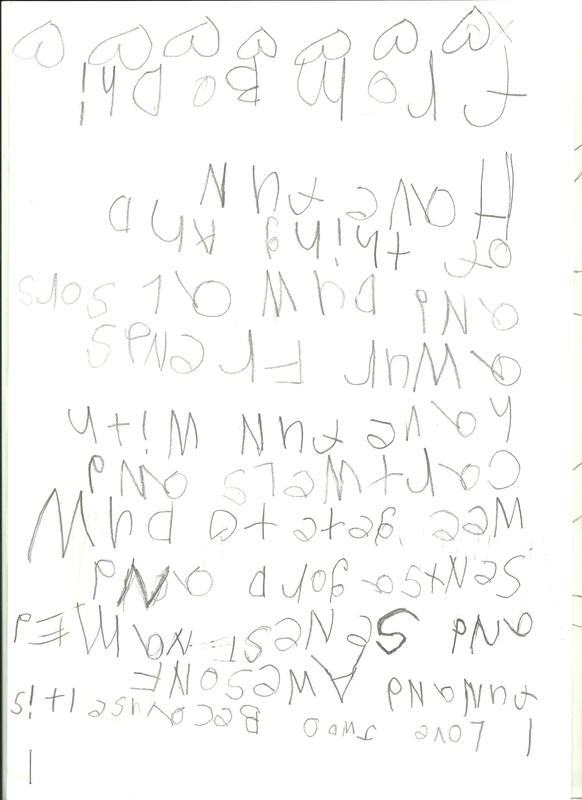 Classes resume in early January and continue to the end of April, uninterrupted including March Break where we make it an especially fun night! 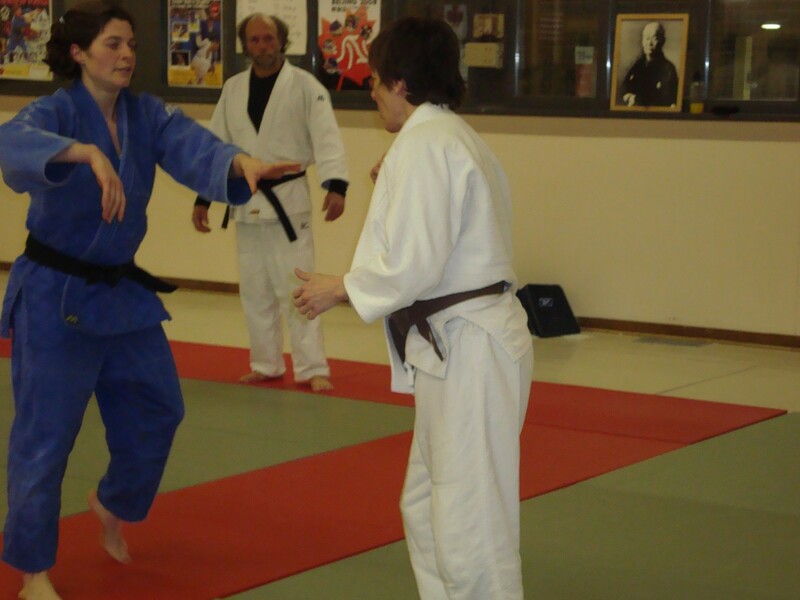 In total, this season offers 31 classes for a very affordable cost of approx. 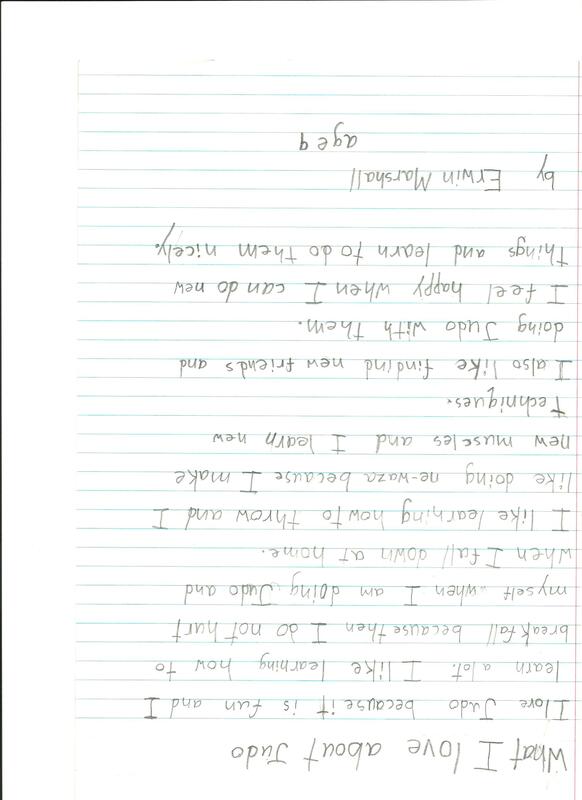 $200 per (Junior) student. To simplify your life (and ours) we offer an easy e-payment option, or accept cash/cheques if necessary. We also offer discounts for multiple siblings, and a tremendous family discount for 3 or more family members. 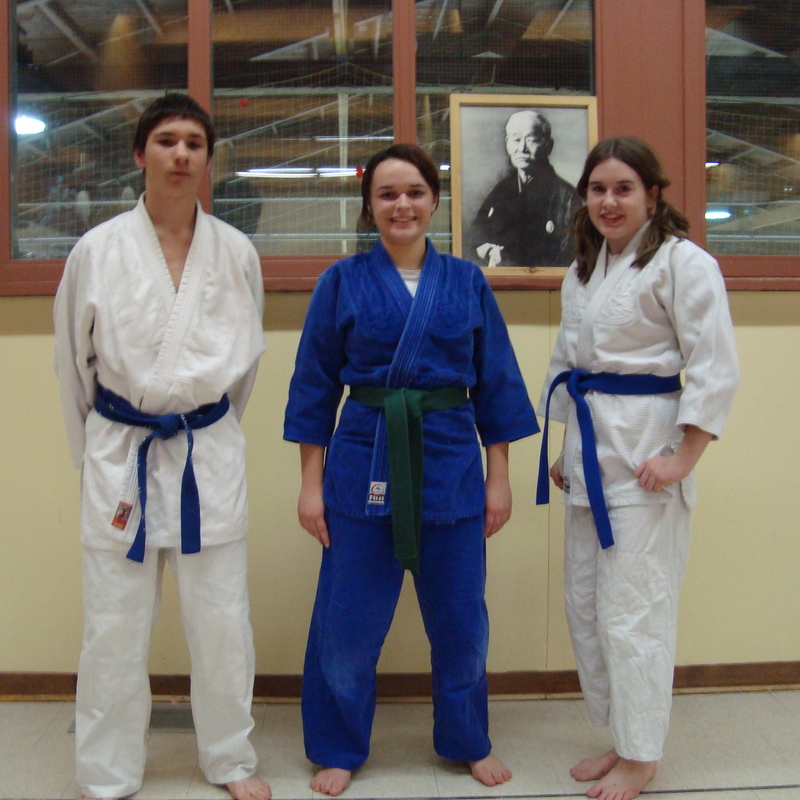 Senior classes commence at 8:00PM each week and run to 9:30PM, following the same schedule as above. It should be noted that any Junior student ‘bordering on becoming a Senior’ is entitled to participate in both Junior and Senior classes for no additional cost!! 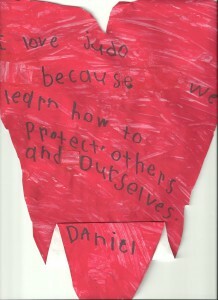 Feel free to inquire whether your child(ren) may qualify for this amazing offer. 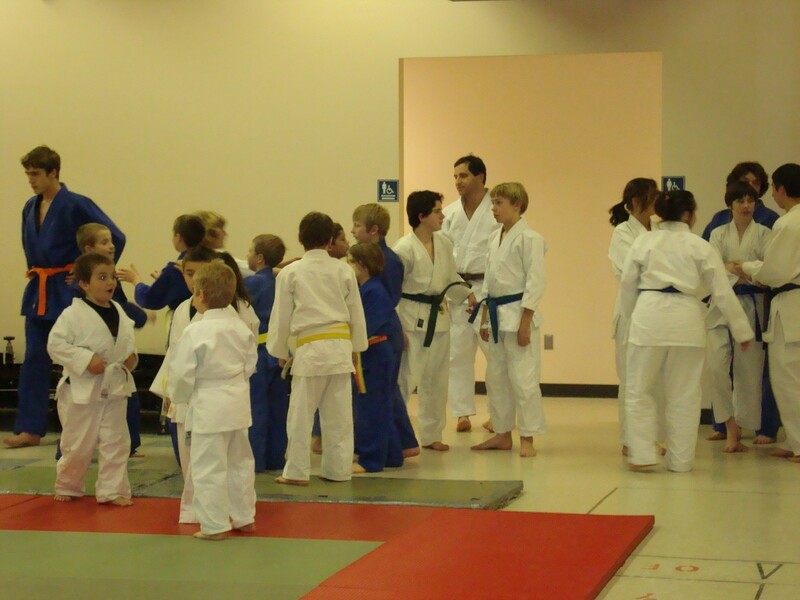 Throughout the year there will be judo tournaments (optional), in-house parties and celebrations, and so much more !!! Spectators and family members are always welcome to view our classes from a comfortable seating area, and our facility offers ample parking. 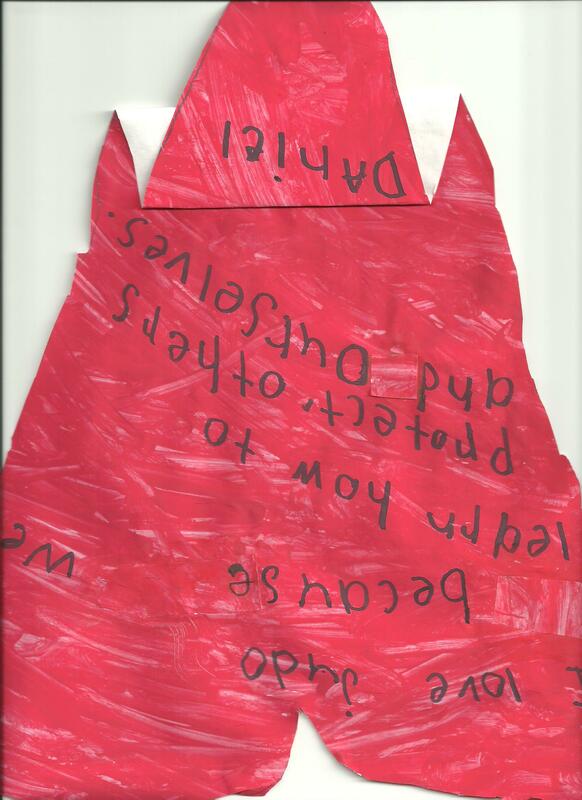 Inside the dojo, we are proud to offer the highest level of martial arts instruction, with at least 4 Black Belt Senseis, and a host of higher level belts who assist. 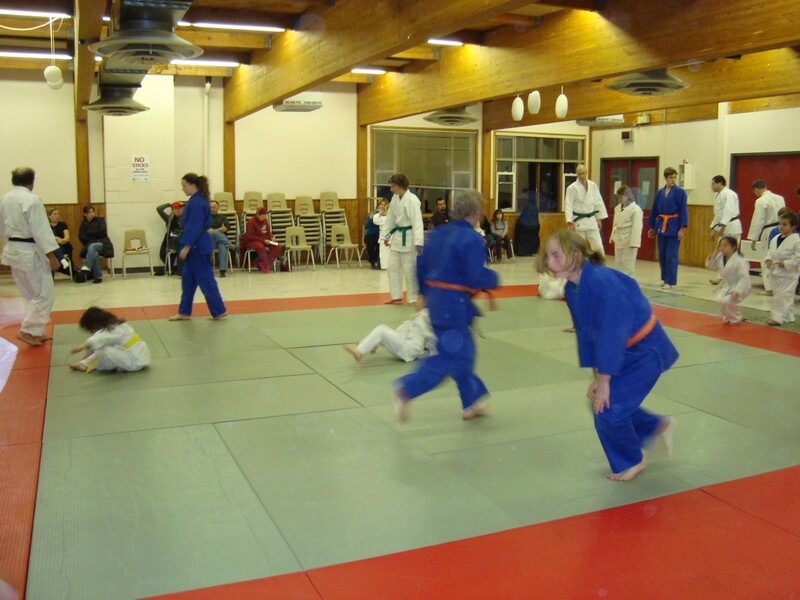 Our dojo is safe, well equipped with washrooms and change facilities, a kitchen, elevator ….. and a very large mat surface. You will not be disappointed!! Additional information will follow as the new season approaches. 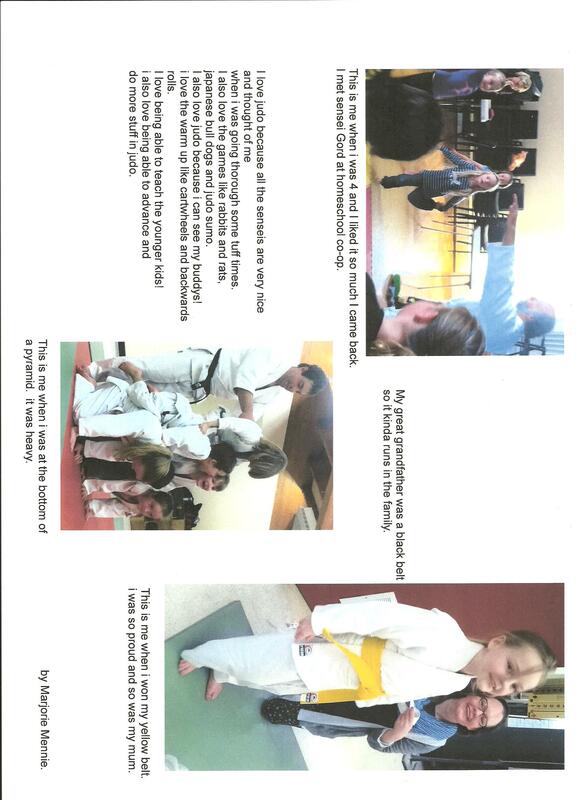 In the interim, if you have any questions about our program or suitability for your child (or self), do not hesitate to contact ‘Gord’ at 613-256-2180 or email gordalmonte@hotmail.com, browse other posts, or check out our new FB page for latest updates. 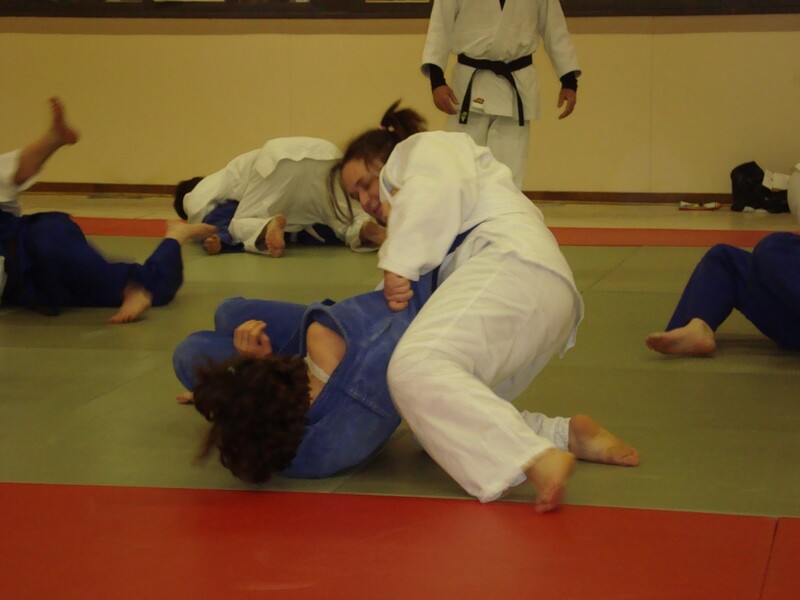 Judo – ‘The Gentle Way’. 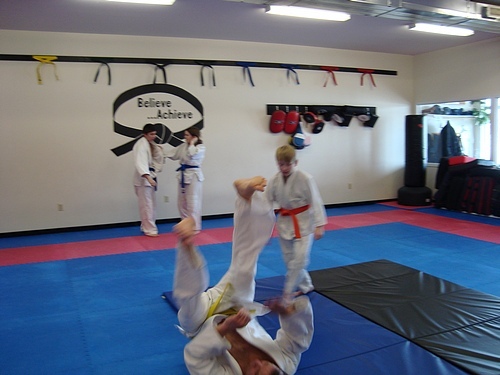 Confidence, Fitness, Fairness and Discipline is our motto ….. and there’s a large element of fun too !!!!!! The trio of valley judo clubs, Beckwith, Almonte and Munster gathered once again for a fun day of judo on Saturday, April 14, 2018. The 3 clubs had first gathered in 2014 at Munster, and our last get together was in 2016 at Beckwith. Dozens of athletes descended upon the Munster Elementary School for close to 3 hours of fun – with many of the fun activities being led by Beckwith student Rayven Gray. Sensei Karen Heney of Munster, Sensei Jacques Sauve of Beckwith and Sensei Gord MacDonald of Almonte helped organize the day, along with strong support from Mike Heney (MC) and Sensei’s from all 3 Clubs. 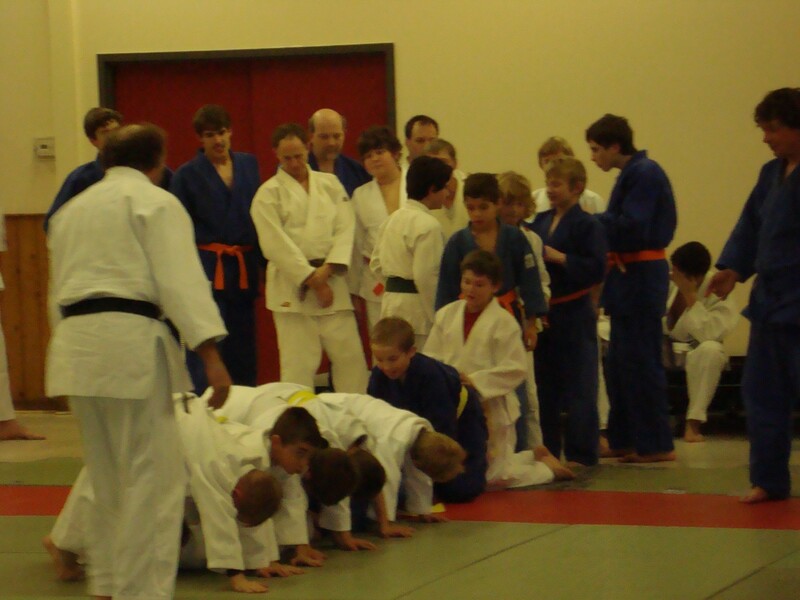 Students were divided into 12 groups to do randori battle in a friendly ‘Top Lobster’ event. Sensei Karen Heney crafted beautiful ‘Top Lobster’ plaques for the overall winner of each group. 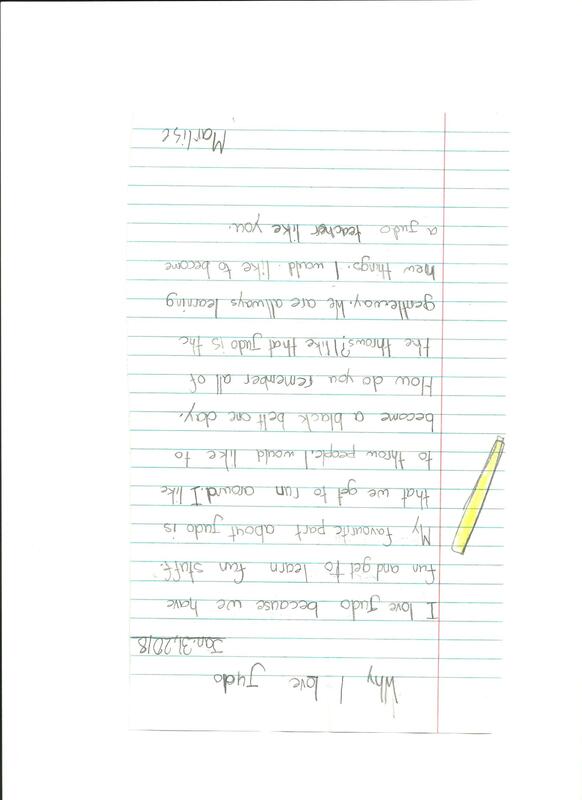 When students were not occupied in ‘Top Lobster’, they were challenged to a Judo quiz, complete with small prizes for successful completion. Almonte students enjoyed the day immensely, and worked hard throughout several ne waza challenges, and the Top Lobster randori event. 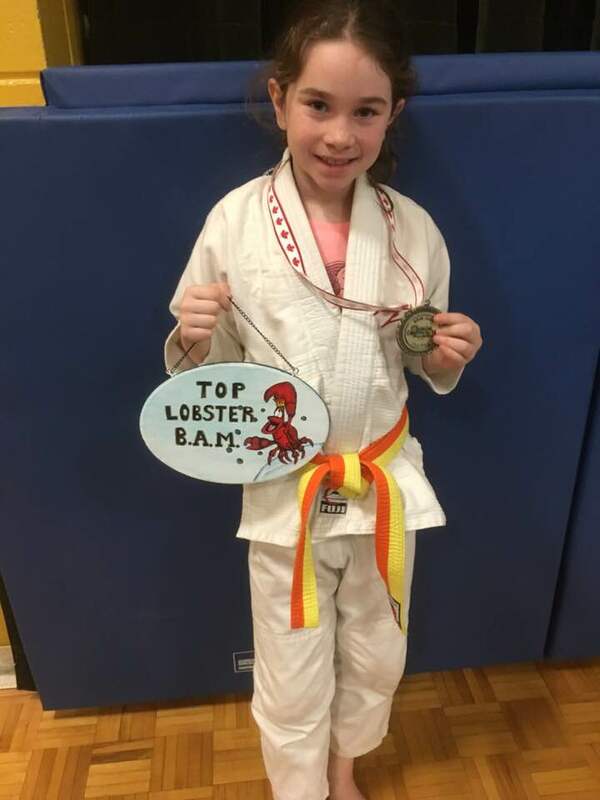 Top Lobster plaque recipients from Almonte included; Max Nicholson (junior super lightweight category), Sylas St.Dennis (junior lightweight category), Sylvain Ganter (senior light/middleweight category), and Matthew Church (senior heavyweight category). Congratulations to all participants on a fine showing, win or lose. Congratulations to all, and thank you for representing our Club so well !!! 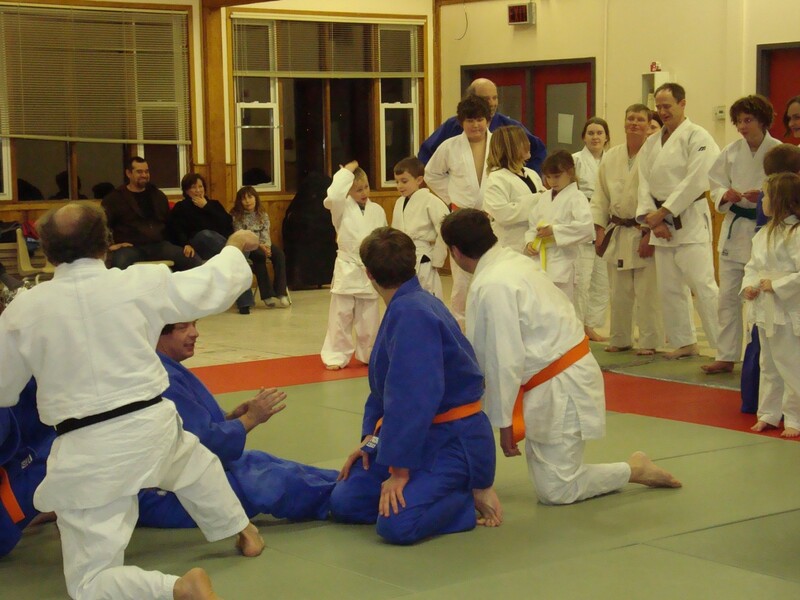 Special thanks to the Munster Judo Club for hosting the event, and to the Munster Community Association for so generously contributing medals for each participant! 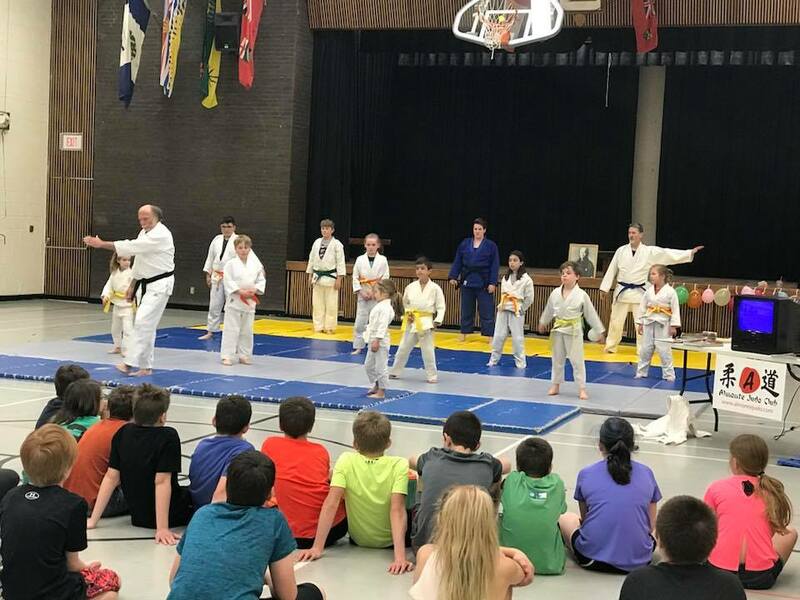 A total of 15 Almonte Judo Club members participated in judo demonstrations at Naismith School on Wednesday, May 2, 2018. 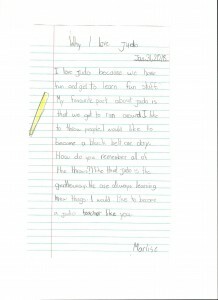 Everyone had a blast, and would gladly perform elsewhere if called upon to do so !! 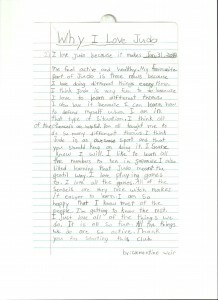 Twelve of the participants were students of Naismith School including, Bodhi Barringer, Indiana Barringer, Paxton Barringer, Tait Jaynes, Ben Ladouceur, Lucas Lafortune, Luke Ibrahim, Marlise Ibrahim, Luka Rizk, Ella Villeneuve, Clementine Weir, and Griffin Weir. 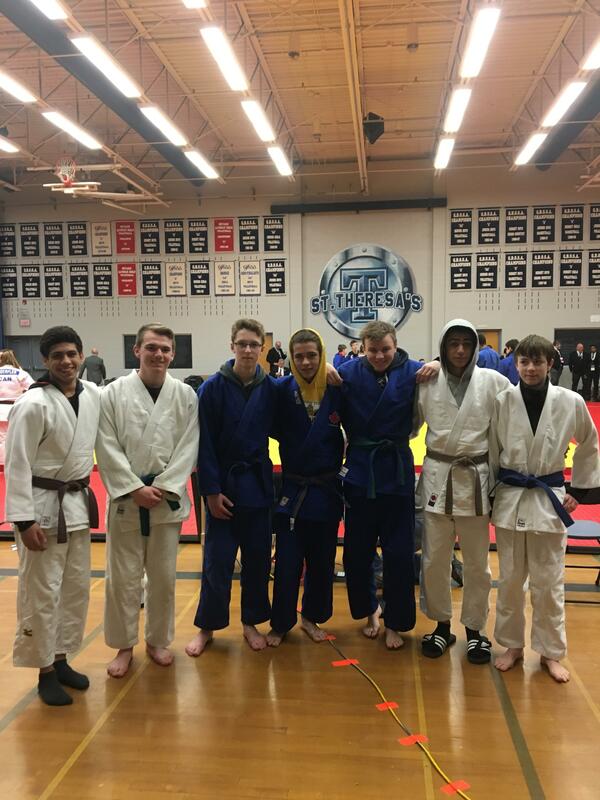 Pictured below are 10 of the 12 students along with Dan Lafortune, Meghan Ladouceur (Club Instructor), and Gord MacDonald, (Head Instructor). Thanks to everyone for participating, and thanks to the teachers and Principal of Naismith School for allowing us to entertain the students. 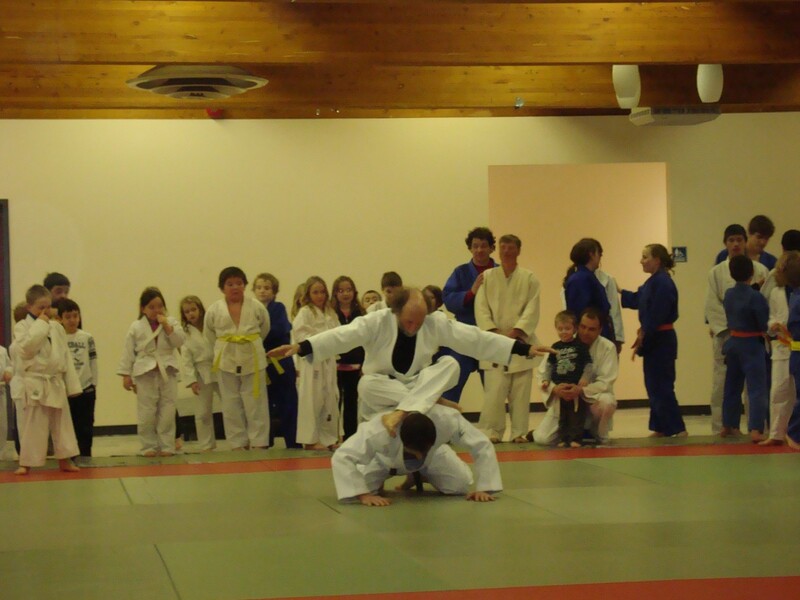 Family and friends gathered Wednesday, April 25 2018 in the Almonte Arena Hall to celebrate the accomplishments of Almonte Judo Club members over the 2017-18 season. Our 50th year of continuous operation being recognized and celebrated made the season extra special. 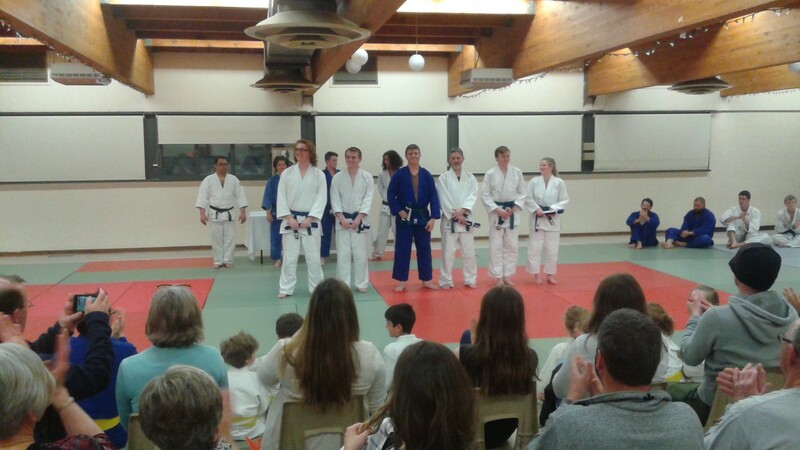 In total we had 6 students receive ‘Certificates of Progress’, and 55 students receive belt promotions, for a total of 61 recognized. 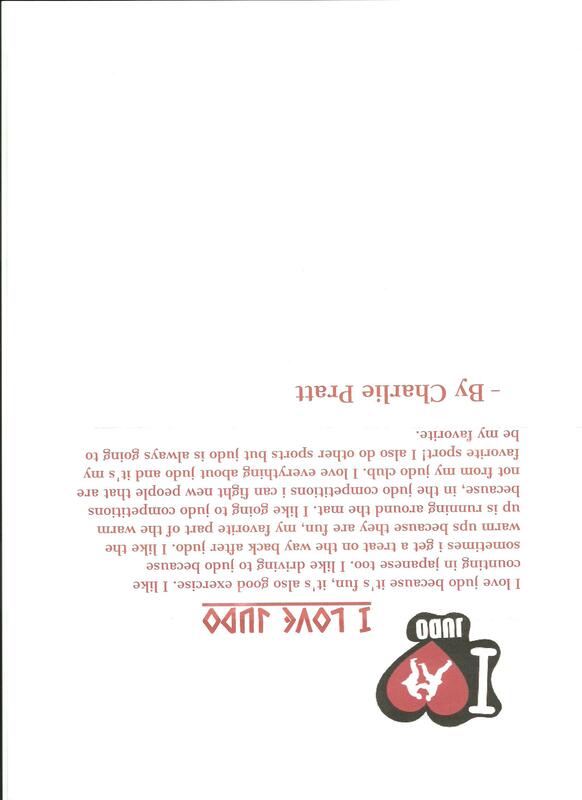 In addition, we have several blue, brown, and black belt members who continue to train and work toward their next belt/Dan level. We congratulate all of them on a successful season as well !! Congratulations to all certificate recipients for their dedication and perseverance throughout the year(s) !! The annual ‘Sensei Award’ for the student(s) who best display the attributes of ‘Confidence, Fitness, Fairness and Discipline’ was awarded to Ivan Sorokowsky of our Junior Class, and Chris Hashimoto of our Senior class. 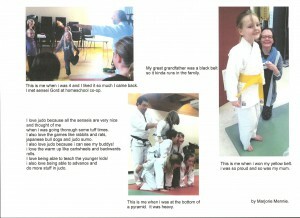 Congratulations to both students on an exemplary year of judo. We finally celebrate on Wed April 18, 2018 !! 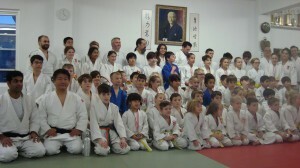 Thank you Judo Ontario !!
. Stories were told and memories were cherished, but above-all, we devoured the cake !!! 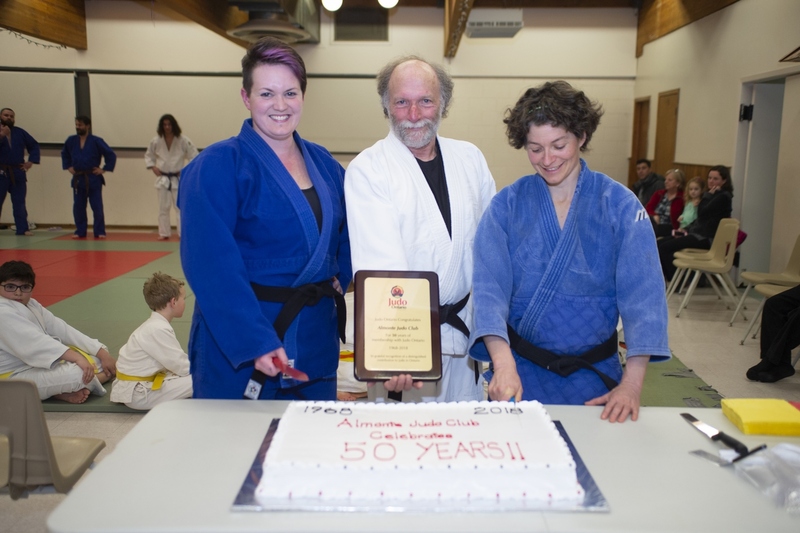 Almonte Judo Club celebrates 50 years !!!!!!!!!! 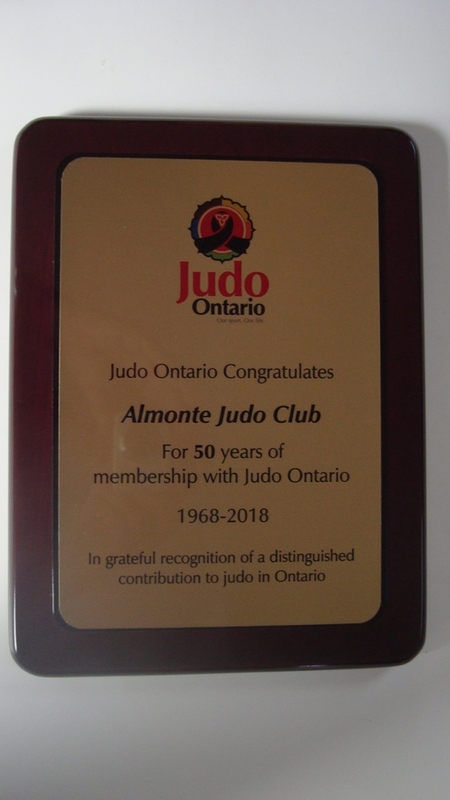 From humble beginnings in 1968 …… the same year organized soccer was introduced to Almonte, to a large and thriving martial arts club, judo has come a long way !!!!! 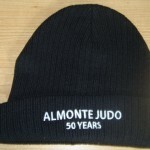 The Almonte Judo Club has operated uninterrupted since 1968, and kept many of its finest traditions since its inception. 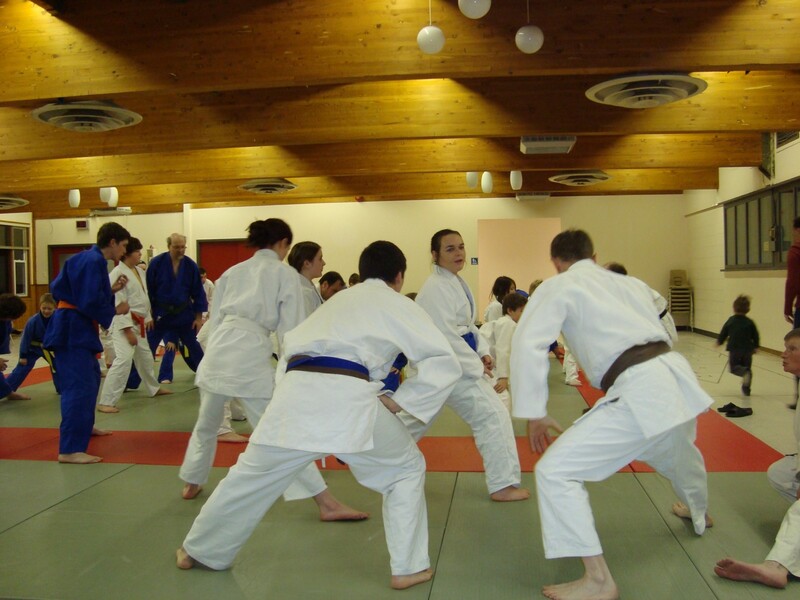 Times have certainly changed, the judo uniform (judogi) has improved dramatically, we no longer colour dye belts, rules have changed, the venue (dojo) has been modernized, and we boast a large surface area of Olympic calibre official tatami. 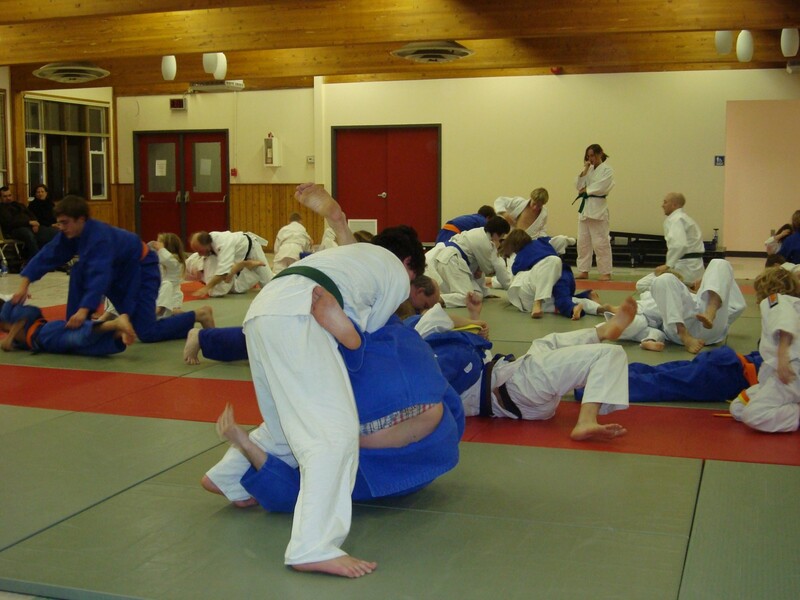 (high density foam mats) We communicate and promote our Club via the latest in social media tools, have introduced e-commerce and on-line registration, and have seen somewhere in the neighbourhood of 1,000 students pass through our doors over the years !!! 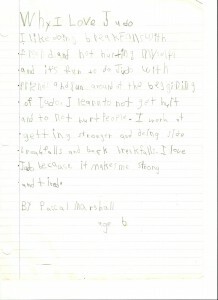 The Club has always carried the reputation of having a low cost and very affordable program for all family members – this continues strongly to this day. Membership topped 90 students this current season, and we attract participants from not only our great town, but all outlying areas stretching from Lanark, Christie Lake, Middleville, Tatlock and Clayton in the west, to Pakenham, Arnprior, Renfrew and Calabogie in the North, to Carp, Kanata, Stittsville and Ottawa in the East, and Appleton, Carleton Place and Smiths Falls in the south. Along with strong support from the communities comes a great loyalty from our judo families, some now in their second generation within the Club ! 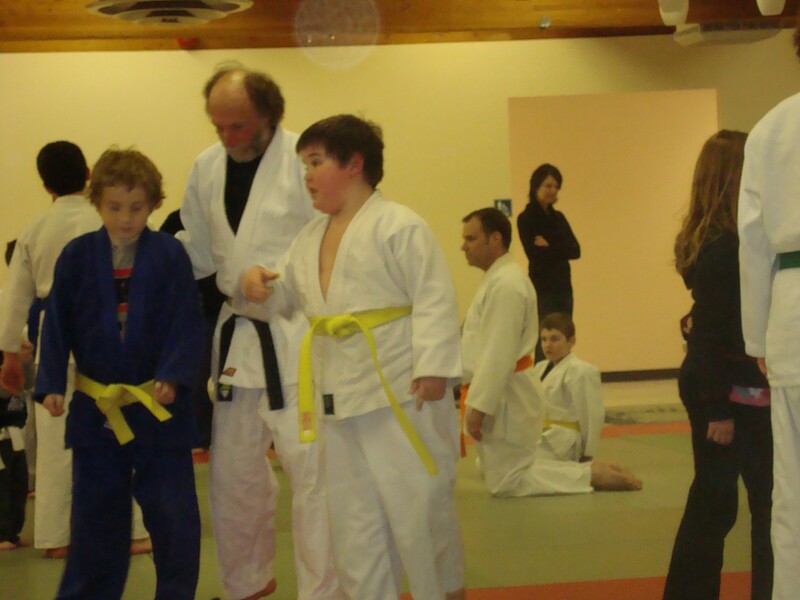 We have nurtured young students to the level of Black Belt, watched our competitors compete at the Provincial and National levels, enjoyed numerous visits from Olympians, and watched hundreds of young and old students weave their way through school, adulthood and chosen careers. 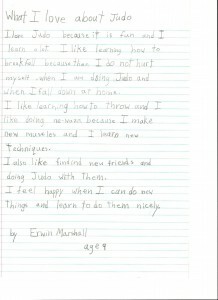 There are so many reasons to celebrate, and not enough time to sit back and enjoy. 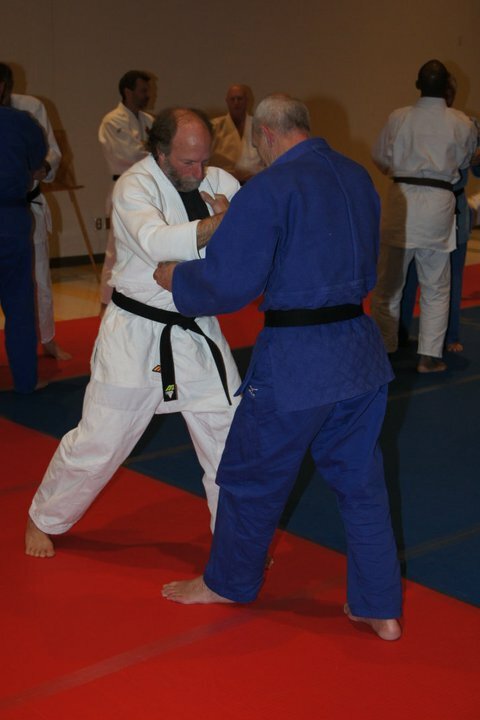 Our Club members have been active in numerous competitions, training for higher belt levels, and dedicating their time toward the betterment of our Club for future generations to enjoy. 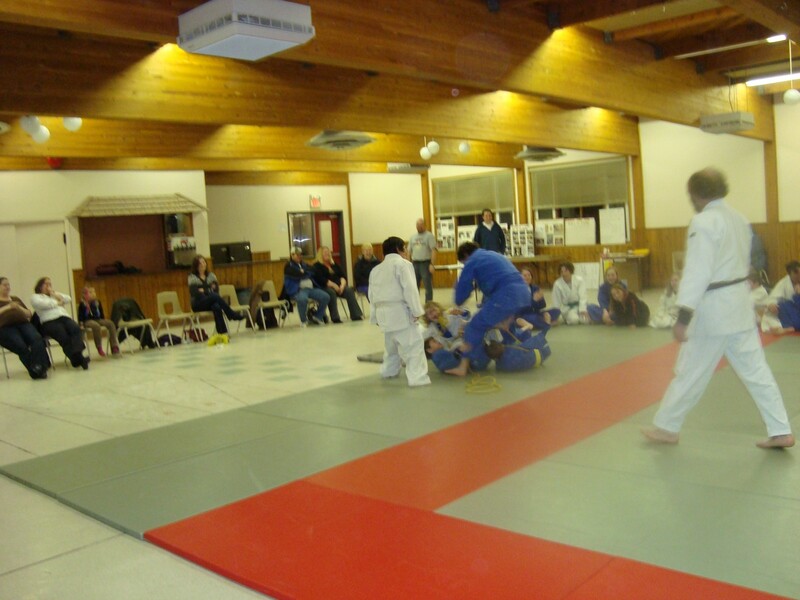 Wednesday night in Almonte has become synonymous with judo, and where other sports and activities have come and gone, judo remains a staple in the diets of Mississippi Mills residents and beyond. We thank you for your continued support !! 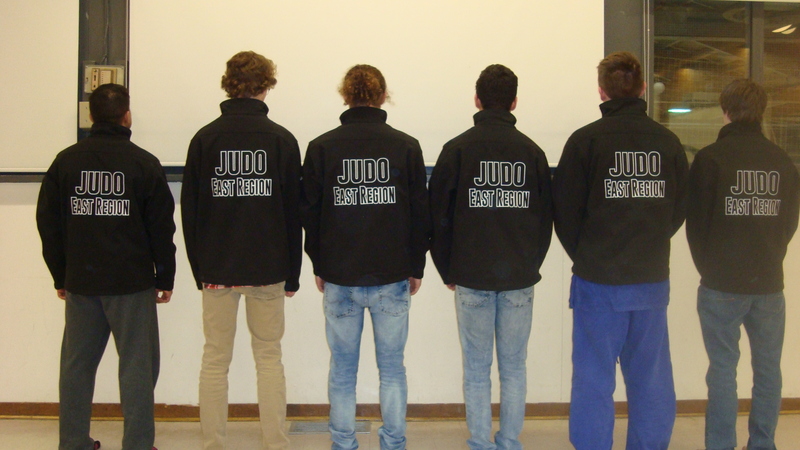 The judo team consisted of 7 athletes meeting U18 criteria for competition. 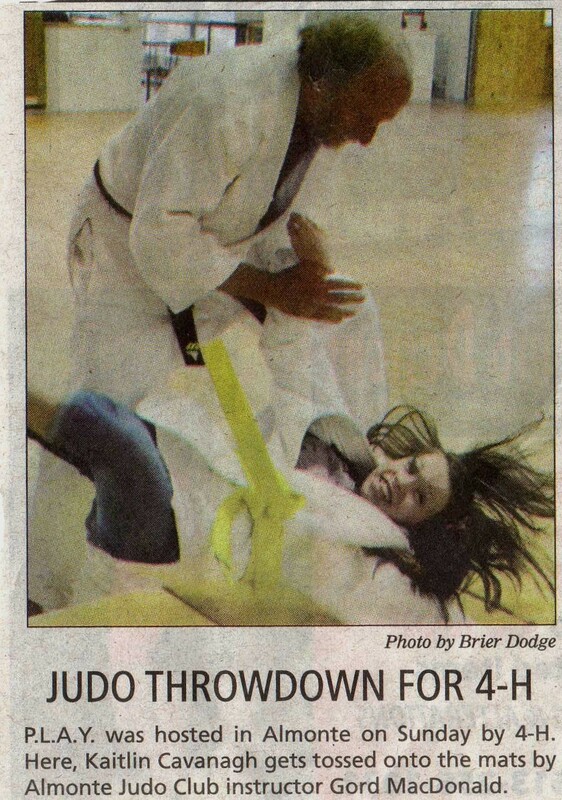 The Almonte Judo Club was fortunate to claim 5 of the 7 spots on the Team !!!! 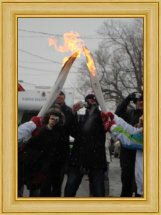 Congratulations to all athletes on such a fine showing amidst top competitors from across all 6 Regions of Ontario !!! 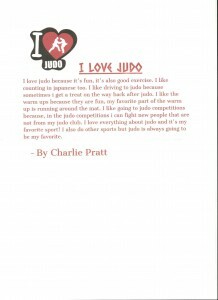 As Judo class coincided with Valentine’s Day, we thought it appropriate to hold a contest of written submissions on ‘Why I LOVE Judo’. 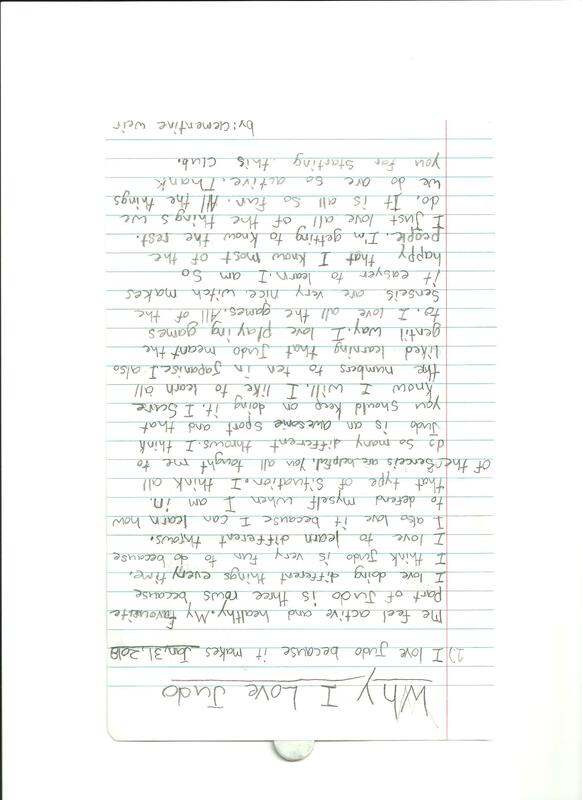 Students were given 4 weeks notice to put together a short paragraph or page explaining what they loved about the sport of judo, and the Almonte Judo Club. 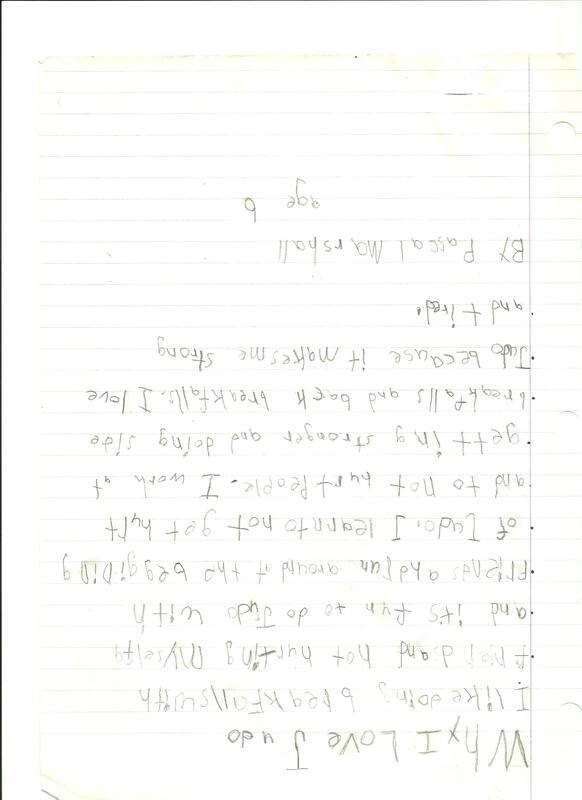 The contest was open to those between the ages of 5 and 14, and we received a total of 24 entries !!! The students put a lot of thought and effort into the friendly competition – with small cash prizes on the line !! 1st place winners were presented with $25, 2nd place $15, 3rd place $5, and all entrants walked away with at least $2 for their efforts !! 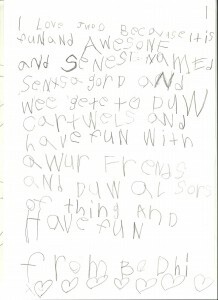 A big thanks to all for the time and effort they put into their entries – they were all awesome. The quality of submissions made it very difficult for the panel of judges (Club Instructors) to select the winners !!! 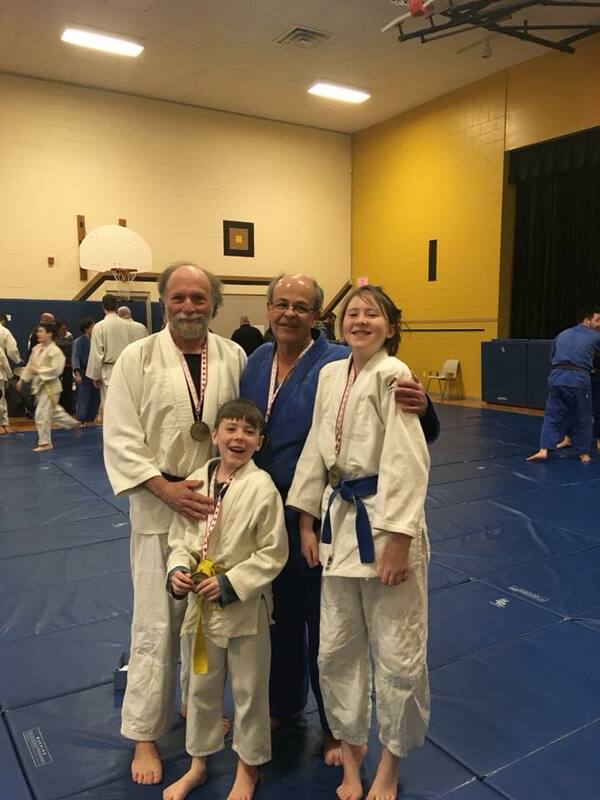 Once again, Almonte Judo Club took part in this friendly competition designed to provide younger judoka an opportunity to experience a ‘tournament’. And once again, the tournament experience did not disappoint. Many of the children were awarded medals at the end of the day, along with certificates of participation. 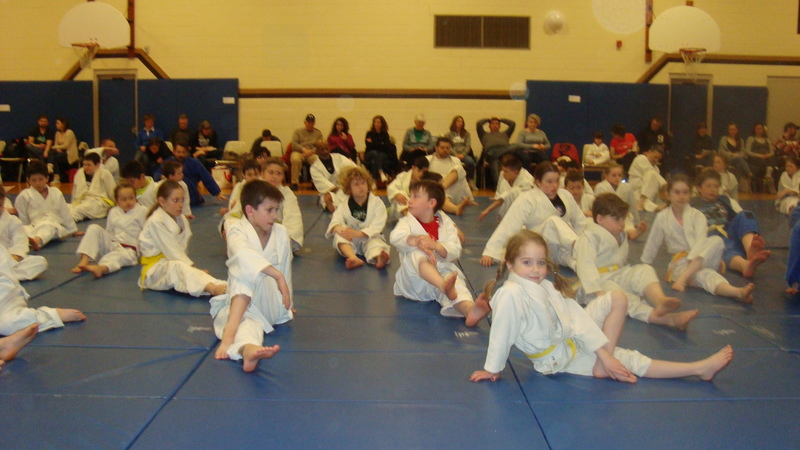 The entire competition involved 60 athletes from Clubs across East Region of Judo Ontario, and Western Quebec. 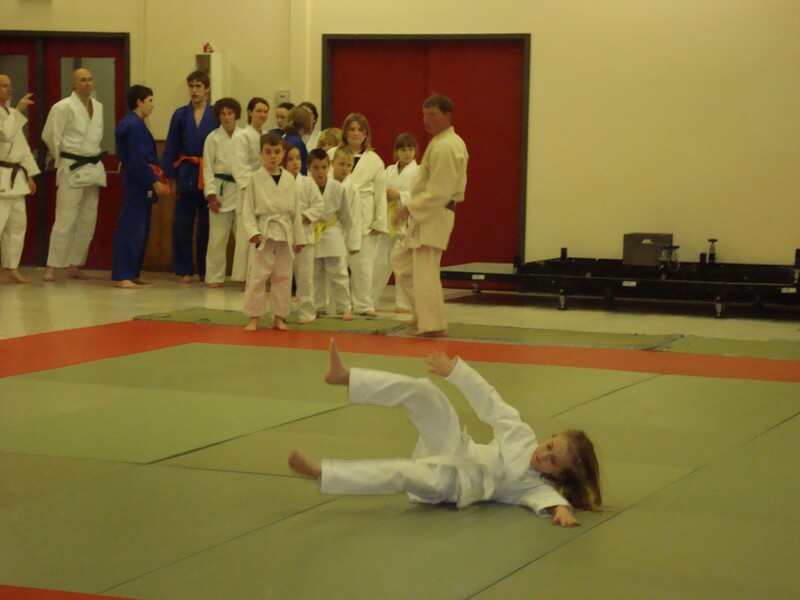 For first -timers, all were very impressive on the mats. Second time participants showed dramatic improvement over the first tournament held in December 2017. Congratulations to all on a fine showing !! A big thank you to Ryan Barringer for all his efforts in tracking the results of our competitors throughout the day! 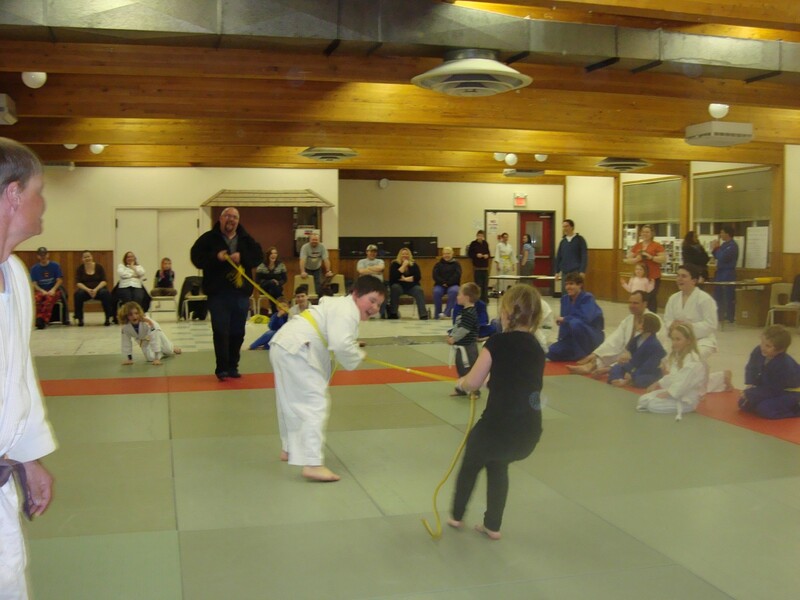 Takahashi Martial Arts was host to a Ne-Waza (ground work) competition for our younger athletes, Saturday December 9, 2017. A total of 60 competitors competed in the day-long event, putting 6 teams of 10 athletes against one another. 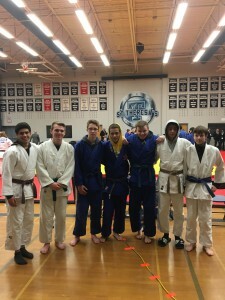 Our athletes won or tied a number of matches, met new friends, and enjoyed a friendly day of competition and team spirit !! Athletes from the top teams were awarded with medals, and all others walked away with water bottles and other tokens. 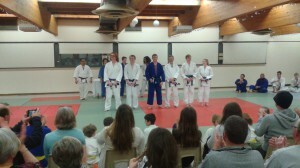 Each athlete was also presented with a participation certificate from Takahashi Martial Arts. Well done everyone !